During his 2015 State of the Union address to Congress, President Obama called for respecting human dignity. This call was met with applause. Obama then called for a rejection of anti-Semitism. Again, uproarious applause ensued. 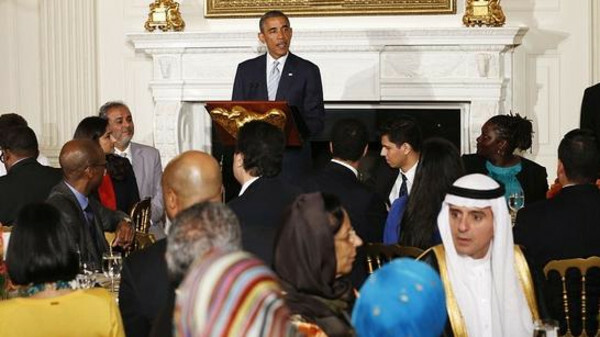 In the very next sentence, Obama called for a rejection of offensive Muslim stereotypes. Suddenly, dead silence. Apparently every politician and government official in the room, whether Democrat or Republican, was on board with stereotyping and profiling Muslims. Fast forward to the 2016 Democratic National Convention. A father and mother of a slain American Muslim soldier spoke about their sacrifices for the country. And everyone there cheered and has been cheering ever since. Besides them, the convention included five other Muslim speakers including Kareem Abdul-Jabbar and Sherman Jackson, who both referenced hate and prejudice against Muslims in their addresses while Democratic Party members cheered. So why the difference? What changed between Obama’s 2015 State of the Union and the 2016 DNC? Why did Obama’s call for tolerance get the silent treatment but the same call is cheered and championed a year later? As American Muslims, should we attribute this shift in attitudes to Hillary Clinton and the DNC organizers? Should we thank them for bringing about a new commitment from Democrats for diversity and tolerance of different faiths? In reality, our actual benefactor — the one who is really responsible for putting Khizr and Ghazala Khan on stage that night — is someone much more orange in hue. Here is a question: Would the Clinton campaign and the DNC have showcased seven different Muslims in the course of the convention if Donald Trump hadn’t made bigotry against Muslims so central to his campaign? There is no way to tell for sure, but if we understand the nature of oppositional politics in this country, there is much to suggest that American Muslims should be thanking Trump. In one of the first speeches that Bush made after the 9/11 attacks, he laid out the IMP Rule and thereby set the tone for respectable political dialogue about Islam and Muslims for the next 15 years. Throughout this time, there were always the Pamela Gellers on the right and the Bill Mahers on the left who shrilly warned that the problem was not “radical Islam” but Islam itself. But these voices were roundly ignored by a mainstream media committed to the Rule. Previous Republican presidential candidates John McCain and Mitt Romney also stuck closely to the Rule, but Trump became the first mainstream politician on the national stage to flout IMP in his clumsy crusade against “political correctness.” Instead of limiting his remarks to the “radicals,” his pronouncements are directed to Muslims more broadly. This is why the Muslim community around the world sees Trump as an apocalyptic harbinger of doom and destruction. 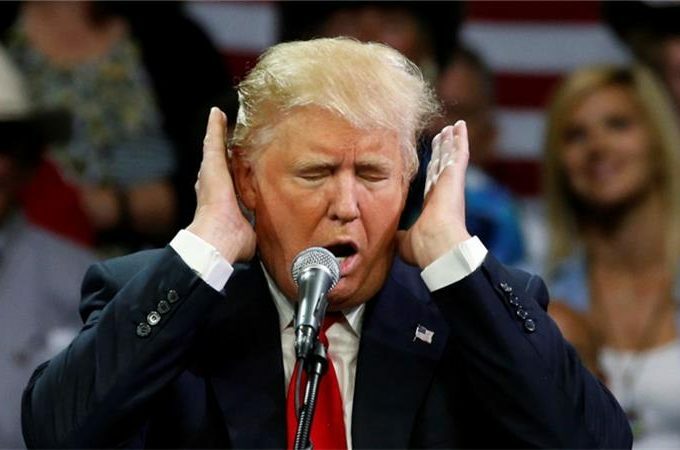 The good news is, as a violator of the IMP Rule, Trump is seen by other politicians, both Democrat and Republican, as well as the mainstream media in the same light that most Muslims see him: As an uncouth bigot who must be opposed at every turn. Understanding the IMP Rule and its power is the key to seeing how beneficial Trump really is to American Muslims. The most powerful moral narrative in the American conscience is the fight against racism. Racism is seen as the ultimate evil, universally regarding as a threat to civilization. The two greatest historical manifestations of evil in the collective American understanding is slavery and Nazism, and both manifestations were animated by racial discrimination. As Muslims, we recognize this as a part of our moral compass as well, as the Prophet specifically called out the damaging ignorance and backwardness of mistreating others on the basis of skin color. In the context of skin color, the odiousness of racism is clear, but outside that context, things become more murky. The racism narrative is so powerful that all varieties of interest groups and political parties attempt to tap into that narrative in order to mobilize people for their particular cause. The LGBT activist movement, for example, has been very explicit about this. Frank Bruni, the NYT’s first openly gay op-ed columnist, has argued that discrimination against people on the basis of sexual tendencies is tantamount to discrimination on the basis of skin color and that LGBT activists must use the language of the civil rights movement in order to advance their cause. Muslims too have taken advantage of the racism narrative, arguing that discrimination on the basis of religious belief is tantamount to discrimination on the basis of skin color. But simply making the argument is not enough for society at large to believe that these are instances of racism and vile prejudice. The public has to be convinced that the group in question is the subject of systematic abuse, subjugation, violence, and unjust treatment in general. The purpose of the IMP Rule then is to prevent the public from seeing Muslims in this light. The Rule is meant to project an image of Muslim tolerance, even celebration. 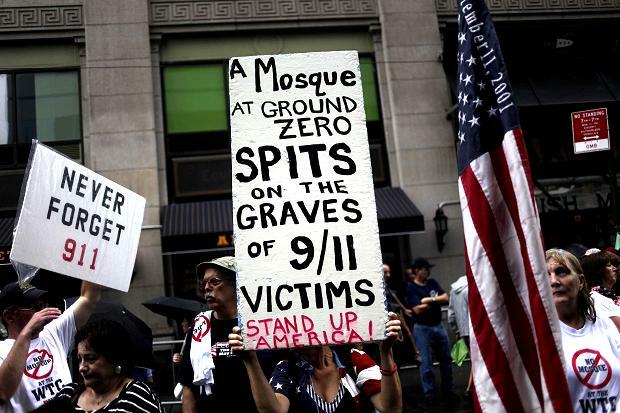 This is important because, without this rosy image, many of the policies and regulations that were implemented against the American Muslim community and Muslim societies abroad in the aftermath of 9/11 would be seen for what they are: unjust targeting and systematic violence against one particular group of people. For the public to see this treatment for what it is would make the idea of “Islamophobia” as a subgenre of racism that much more compelling to the average American, who is, due to the racism narrative, highly sensitive to anything with the slightest semblance of racial prejudice. And once the average American gets even a whiff of that and starts to see Muslims as victims, that would create a chain reaction of support and political mobilization for wider Muslim acceptance. This is why Trump has been and will continue to be a boon for American Muslims so long as he keeps up his heavy-handed, off-the-wall demonizing of Islam and Muslims. For President Obama, the IMP Rule has been monumentally important. Well-off and politically connected American Muslims are reluctant to believe this, but Obama has been a disaster for American Muslim rights. There has not been a single substantive anti-Muslim policy created under the Bush administration that has not been continued, expanded, or accelerated by the Obama administration. In terms of foreign policy, Iraq and Afghanistan continue to suffer from the presence of a US military force. Obama’s infamous drone program has extended this death and destruction to Northwest Pakistan as well as Yemen, Somalia, and other Muslim regions. Libya, of course, was invaded under Obama’s directive and has been smoldering ever since. Under Obama, Israel felt at ease brutally pummeling a besieged Gaza in three separate operations, genocidal aggression that Obama awarded with record amounts of military aid stuffed into the pockets of the Israeli murder machine. And the failings of the Obama administration to broker peace in Syria while also tacitly supporting the bloody military coup in Egypt and the Sisi regime has been nothing but an unmitigated disaster. Hand in hand with the terror Obama has unleashed against Muslims abroad are his domestic “anti-terror” policies, policies which for all intents and purposes target Muslims and attack their civil rights. Obama’s Orwellian CVE program, which essentially saddles the entire Muslim community with assumed guilt for terrorism, is only the tip of the iceberg. His FBI has perfected and regularized an aggressive Muslim entrapment program which was used only sparingly in the Bush years. His NSA datamines Muslim online activity and communication and feeds that information to other agencies which disproportionately and unfairly target Muslims. Local police departments have, through generous grants and guidance from Obama’s DHS, spied on Muslims and created databases cataloging Muslims and their day-to-day activities. The secret No-Fly list, which lists predominantly Muslims, none of whom have any proven ties to terrorism, has ballooned to at least ten times its size under Obama. By any objective standard, Obama has been a much worse president for Muslims than Bush Jr. But the American Muslim community itself seems to be completely unaware of this and will bitterly deny it. This is because they have fallen into the seductive web of the IMP Rule. Obama perfected the Rule. He made the Rule into a fine art. His paeans to the American Muslim community and even Islam as a religion are unmatched. That’s why Muslims love him — no politician has spoken more glowingly and more eloquently in praise of Muslims. No president has appointed more Muslims into his administration or invited more Muslims to have iftar or Eid dinner at the White House. Clearly a president who goes out of his way to recognize and celebrate Muslims is not actively curtailing their rights and sabotaging their interests! Alas, the truth is not as picturesque as those lavish White House iftars would lead us to believe. What Obama has proven is the efficacy of the iron fist when it is wearing a velvet glove. The IMP Rule is precisely that velvet glove, and Obama has worn it masterfully. As a result, the “anti-terror” programs — which have stripped American Muslims of so many of their civil rights and which the Bush-era Democrats denounced as the “Shredding of the Constitution” — overnight transformed into bipartisan consensus once Obama endorsed them. And it is that bipartisan consensus that has increasingly shifted public sentiment against Muslims over the past eight years, up until last year’s State of the Union, where even calls for basic civility towards Muslims were met with cold, indifferent silence from the nation’s lawmakers. But Trump has changed all that. Trump has no patience for the niceties of velvet. His talk of monitoring Muslims and controlling their movement in and out of the country have plenty of precedent in Obama’s policies. Ironically, in fact, Obama’s policies are sometimes even worse than what Trump claims to want to do as president. The only thing that is novel about Trump is the way he talks about Muslims. And as Muslims, we should welcome this frankness. Strategically speaking, we should prefer a president who will wear his hatred of us on his sleeve as opposed to one who smiles in our face while implementing all manner of policy against us under the table. Better the devil you know. As journalists like Greenwald have noted time and again, in the Bush days, the Democratic establishment actually took on pro-Muslim causes like closing Guantanamo Bay and opposing Muslim profiling and detention programs. But as soon as Obama became president, all that righteous concern went out the window. The Democrats no longer had any reason to oppose anti-Muslim policies once they were in power. 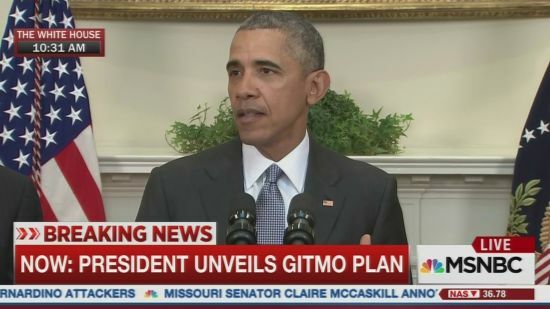 And the GOP saw an opportunity to portray any last vestige of pro-Muslim sentiment on the parts of Obama and the Dems as being “soft on terror,” which had the expected outcome of making Obama even more reluctant to do anything substantial to roll back, much less overturn, the bevy of programs infringing on Muslim rights. A Trump president, however, will bring that righteous pro-Muslim fervor back with a vengeance. The initiative to feature the Khan family at the DNC and the media success that followed proved to the Dems that they can once again use American Muslims as a stick to beat their GOP counterparts. The fact that Trump is so overtly bigoted, the fact that he shuns the IMP Rule so shamelessly, will only make Democrats respond with that much more sanctimonious intensity. If Trump is president, expect a significant uptick in mosque visits from the Dems. Expect a lot more Congressional pushback on anti-Muslim policies that have hitherto enjoyed bipartisan support. 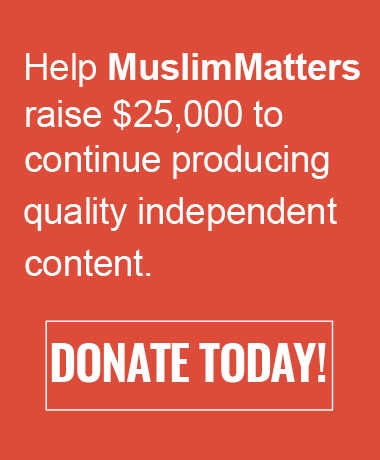 Expect a lot more positive media coverage on the Muslim community in general. Muslims are also worried that a President Trump means he will implement the ludicrous anti-Muslim policies he has proposed on the campaign trail, e.g., implementing special Muslim ID badges and banning Muslims from entering the country. This rhetoric should be taken for what it is: grandstanding bluster with no real chance of materialization. As I have argued elsewhere, the Obama administration has already facilitated far-reaching measures to catalogue and track religiously observant Muslims in this country, which is functionally equivalent to the issuing of ID badges, so Trump wouldn’t be adding much to what his predecessor has done already. Besides this, even if Trump wanted to force Muslims to get ID badges, he would face a firestorm of political opposition. Similarly with banning Muslims from the country, a proposal that even GOP leaders have denounced. Only God knows, but to the contrary, four years of Trump could mean American Muslims as an identity group finally attain that elusive mainstream status, where it becomes politically incorrect to even imply that Muslims are inherently inclined to terrorism and therefore must be profiled, monitored, detained without charges, and controlled. Some have argued that if Trump were to win, that would vindicate his anti-Muslim rhetoric and bring out the worst in violent racists. Certainly, there has been an increase in violence directed at Muslims since Trump announced his candidacy in June 2015. But, there has also been a marked increase in terror attacks on Western soil in this same time period. The national debate on Syrian refugees has also played a significant part in stoking nativist anti-Muslim bias. Outside of Trump’s rhetoric, both of these factors could independently account for at least some, if not most, of the increase in anti-Muslim violence. But if, God forbid, the rate of such terror attacks remains consistent over the next four years, wouldn’t it be far better to have someone in the Oval Office who is less vitriolic to Muslims than Trump? This is debatable. In actuality, there is not a clear correlation between presidential rhetoric and tenor, on the one hand, and hate crimes and bias, on the other. Obama’s presidency provides the perfect example of this. People expected that race relations would significantly improve upon the election of the first black president, when, as it turns out, the exact opposite occurred. Anti-black racism has significantly increased during Obama’s two terms than in prior years. 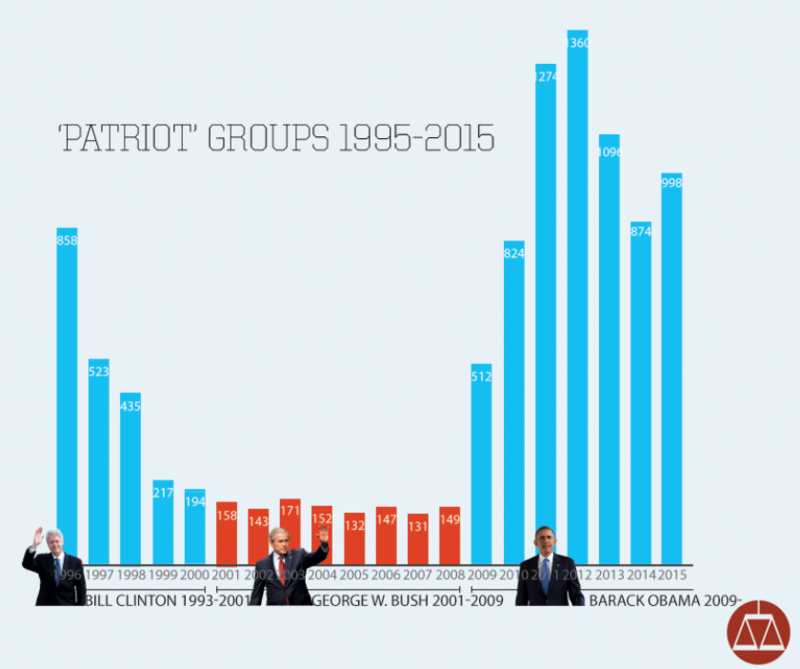 There has been a surge in the number of white supremacist chapters and “patriot” groups around the country, which also correlates with an increase in bias attacks against different minority groups, including Muslims. How do we explain this seemingly paradoxical increase in racism and violence under Obama? Mark Potok of the Southern Poverty Law Center suggests that much of the increase is tied to the anxieties of beleaguered working-class and middle-class white people who have suffered due to increasing income inequality and other economic factors. As these groups perceive society to become more diverse and less white, they react with anger and violence directed at those minorities imagined to be most threatening. In this way, paradoxically, a black president in power can increase anti-black racism while a white conservative, even bigoted president in power can actually decrease it. A Trump presidency could have the same effect on anti-Muslim bias. Having him in office would do much to appease these racist white factions, which would lower anxieties and ease tensions, potentially resulting in less negativity towards Muslims and mosques. As further insight into this dynamic, consider the year 2010, which saw 53 mosque attacks that year, whereas 2015, the year of the rise of Trump, saw 78 (data and bar chart below can be found here). Back in 2010, ISIS had not yet emerged and there had not been a single major Muslim-related terror incident in the US or Europe that year. 2015, in contrast, saw ten of them with death tolls in the hundreds and nearly around-the-clock media coverage throughout the year, not to mention the Syrian refugee crisis to boot. Why, then, was 2010 a horrendous year for American mosques with such a seemingly Muslim-friendly president in the White House? This incident perfectly encapsulates the dynamics of American political discourse surrounding Muslims. When Republicans are not in power, they have great incentive to portray Dems as soft on terror and, like trained puppies, the Dems respond with cold indifference, if not outright callousness, to Muslims and their interests. 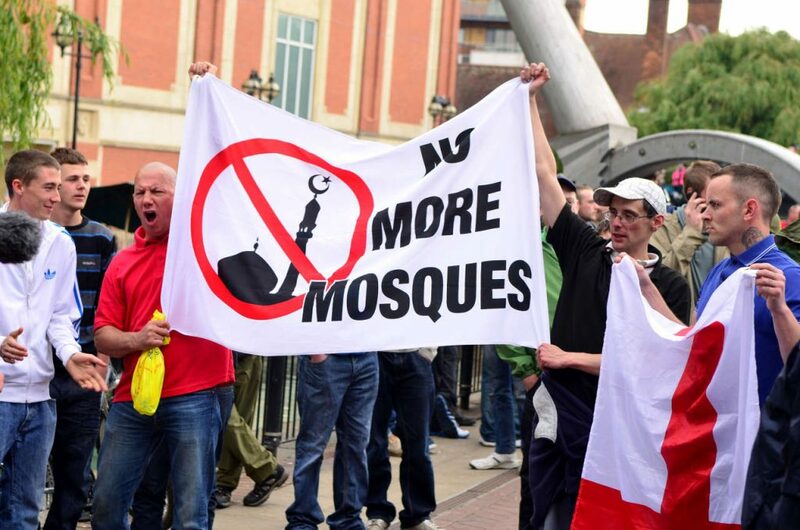 This creates an antagonistic bipartisan consensus on Muslim issues which further feeds public paranoia and an atmosphere of anti-Muslim hate, which inevitably leads to mosque attacks and other acts of bias. A Clinton presidency would further anger white supremacists and other bias groups, making them feel like the walls are quickly closing in on them. This could have devastating results, as the GOP would, in the interests of oppositionalism and reactionary politics, shift further in the direction of nativism and racially-charged rhetoric in order to capitalize on the raw emotions of their disaffected base. They would also continue to paint Democrats as soft on terror, as the anti-Muslim elements across the country would be incensed, not quieted, that their beloved crusader failed in his White House bid. In reaction to this, Clinton would shift right as well, which would all but ensure the continuation and likely expansion of Obama’s anti-Muslim policies. Of course, this would all be done with smiles and White House iftars galore, i.e., the IMP Rule in all its slimy glory. Even without this shift, Clinton has more than proven herself to be hostile to Muslim interests, both abroad and at home, even more so than Obama, which is saying something in itself. Like Trump, she has embraced the term “radical Islam” and believes that a muscular surveillance state is key to national security and fighting “homegrown terror.” She has proven herself to be an arch-Zionist, even more antagonistic to Palestinian life than Bush, Obama, or Trump. Her hawkish stance toward the Middle East should be enough by itself to give any conscionable Muslim pause for concern. 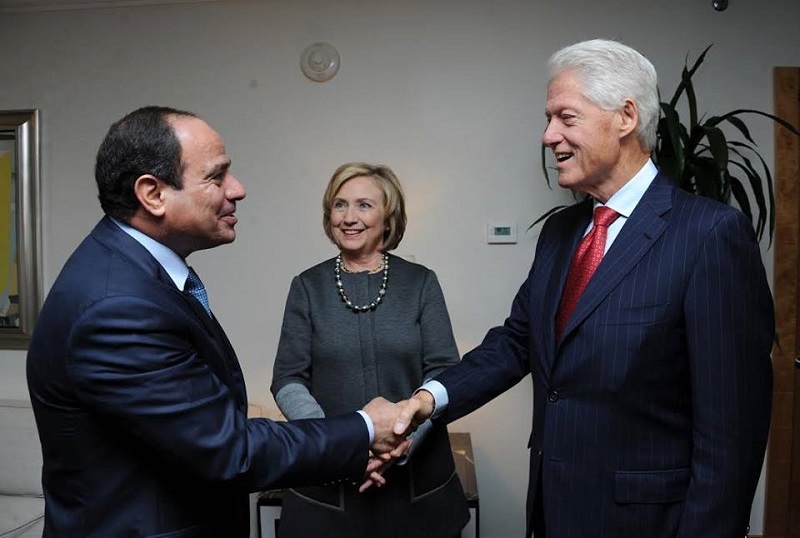 She has demonstrated support for the US-funded dictators across the Arab world, and has even befriended them. Does all this mean that Muslims should vote for the odious Donald Trump? Muslims should definitely consider voting third party in at least the non-swing states. But if one is planning to vote for either Clinton or Trump in a swing state, then hopefully I have presented good reasons to consider voting for Trump over Clinton in particular. In strategic terms, sometimes going against the most outwardly obvious path is what will yield the most fruit at the end. And, of course, there may be other reasons unrelated to Muslim interests to support Clinton over Trump, though as commentators like Mobeen Vaid have argued, American Muslims need to reconsider their reflexive alignment with liberals, while developing a political culture which is based on or at least informed by their religious values, instead of simply parroting “Red vs. Blue” political bickering. Putting these concerns aside and focusing on the issue of which candidate, Trump or Clinton, is relatively better for Muslims in the short and long term, there is no question. This is an excellent and well-thought out piece. As a ‘conservative’ Muslim who is watching the news with growing alarm and sadness, I despise Trump. However, getting an Honors’ in Political Science has taught me to sometimes analyze a different view point, and I agree that a Trump presidency could actually be more beneficial to American Muslims than a Clinton one, ESPECIALLY in the longer term. If Clinton wins, you can be sure that in 2020 (and 2024 if she gets that far), there will be a critical mass of vitriol and hatred against a lot of minority groups in the US/ Canada. This article is very well written, its allowed me to see things from another perspective. I already knew that Clinton is far worse than Trump, and she has a track record to prove it. Although in my opinion, it seems that unfortunately a Clinton presidency will be the most likely outcome. However, I will still vote 3rd party at least to dismay from this corrupt 2 party system. I, myself, mused this possibility until the fever piitch at which prejudice (Islamophobia in particular) and racism have reached as a direct result of Trump’s hate speech and rabble rousing. It is absolutely not just because of an increase in terror attacks as there has not been a marked increase. Furthermore, the vitriol he and his most zealous followers have displayed even for a Gold Star family (the question of serving in the US military aside) just because they were Muslim and, most terrifyingly, Donald Trump confirmed to have been insistent on questioning senior officials (in closed private quarters and not publicly!) as to why the USA can’t just use nukes sealed the deal for me. This man absolutely must be voted out into oblivion with a solid bloc. There is way too much at stake to muse theories at this point. This is a man who can not be allowed to ascend to the United States presidency just because we think MAYBE it’ll placate his insane followers into laying off. These circumstances require realism not hypothesis. The article is powerfully written but does contain many false information. 2: When Republican Rep Peter King started his McCarthy style hearings at Congress who opposed him Democrats. 3. who has been consistent in not using terms like “Islamic” with fascism, terrorism, extremism? Democrats in power and out of power. 4. for the last 16 years whose party conventions required diversity which provided opportunity for Muslims to participated in the political process. Democratic Party. ========== We must not be cynical. Our political participation is not about Hillary or Trump, it is for our own political empowerment. And this election everyone is talking about Islam and Muslims, let Muslims organize America to liberate itself from fear, hate and anger which will destroy. I cannot imaging people arguing for Trump here. Jesus loves you so much he died for you on the cross. Paraphasic error; He loved us so much…But I do not understand why God would send his son to be killed by man so that man could be forgiven? Very well said, Tell him we are not here to fight with christians or jews , but we are guiding them in the right way and brother masood you have put a very good answer to him !! Yes. It is His grace that He brought us to this world and guided us trough Quran. He is Everlasting and loves His creation. Even if we were to believe for the sake of this discussion that Jesus peace be upon him died on the cross for us, would we then thank the servant(Jesus S.A.W) who had to obey his master? Or the Master (Allah)who supposedly sent him to die for us? I wonder how you our christian friends managed to get the unquestionable Authority of Allah (God) mixed up in this rather extreme way. Allah Almighty created our beloved Jesus. He is not his son, God does not need a son. Jesus is a very special prophet who taught us to only worship Our Lord, One God, and to always do good. How can Jesus save us when he couldn’t save himself? Also, does this mean I can do anything I want good or bad since all sins will be forgiven, Jesus will save us. None sense! Everyone is accountable for their own actions. Educate yourself. Start by reading and understanding your bible. You’ll be amazed how much Muslims follow the teachings of Jesus more than Christians do. Jesus loves you so much he died for you on the cross for you. And thus, both Jesus (peace be upon Him) and Allah ( the Arabic word for the One and only God) love those who love God and do so through gratitude, actions, and submission to the Divine commands and etiquettes. ANY MUSLIM THAT SUPPORTERS TRUMP IS INSULTING TO OTHERS. Trump has lied, conned, exaggerated, his way into the arena with racism and bigotry like no other who has run for office. “Let’s ban these ppl but hey there are some good ppl” has been his line (fill in the “ppl” with a minority. His ego is going to be the downfall of USA, and the death of many in the world due to his lack of knowledge, humility and decency. As a Muslim, sometimes I wish he would win but would love to see his face when he loses. The “No Israel Without Hitler” argument. I have seen it before. Go ahead and vote for Trump. People seem to forget what happened next. Seriously. The whole argument comes down to picking the people that hate us most and hoping people’s sympathy and pity overpowers giving anti-Muslim bigots power. Clinton is a fake and a liar. She has changed her mind on many subjects. She wants one thing, to be president. She will use anyone and everyone to achieve this aim. Once she has done with using Muslims, she will betray, this is her way. Do not make a mistake by voting for her. Great Analysis. .Very Well written article!!! I am praying that no matter what happens that Islam comes out on top. More than never before in any election, the importance of having a strong 3rd party is vital for US politics. Time to set aside the Presidential Elections as just another celebrity event, and instead concentrate deeply in local constituents for the sake of America. Good article. YMCA rule was broken as far back as 2004 mostly by the Republican candidates. I have wrirren a few articles about this. I don’t buy it. Trump hasn’t caused a bunch of pro-muslim sentiment to surface. He’s just moved the dialogue backwards to the point that SUPPORTING THE STATUS QUO is now considered pro-muslim, compared to the alternative. If you take two steps backwards, one step forward will be progress. And in fact, if we as a country take two steps back, it will be relatively easy to take one step forward! But overall, that’s not something to aim for. Maybe Democrats will be able to block new anti-muslim legislation (of course, maybe they won’t.) Maybe when they regain power, they’ll repeal some of Trump’s worst policies (but maybe they won’t.) But then that will be claimed as a major victory, they’ll shout MISSION ACCOMPLISHED without making anything better. By your rationale Jews should thank butler for helping them combat European antisemitism. Thanks brother Daniel for a well written article, though I agree with the facts, but my conclusion is different. Many Republican candidate played against or beyond IMP rule, but Trump was best to become Republican candidate. If he becomes America’s President, tomorrow, Islam as the ultimate evil and a threat to American civilization might become a reality. 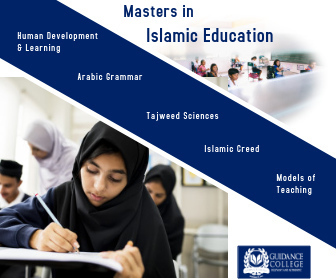 Few decades later, Islam might become the third greatest historical manifestations of evil in the collective American understanding after slavery and Nazism, but at the cost of ? Yes, Bush created anti-muslims policy, and Obama rode on it. Bush invaded Afghanistan & Iraq, and Obama drone on it. They both are bad, but who is worst ? Think ! The closest historical lesson, I think we can learn is from our neighbor, Canada’s conservative party’s Ex-leader and Canada’s ex-Prime “Stephen Harper”, not only his views were similar to Trump, but he practically tried implementing them. Just google “harper muslims canada”. Thanks to Allah and the people of Canada for getting rid of him. Lastly, it is good to argue with solid understanding and knowledge, let the debate go on, but be united, when it comes to delivery. Even if we err, we will be rewarded. The question is not who will be better for Muslims; it is who is going to do less harm to Muslims if he/she wins? it is shame to find in the greatest democracy in the world that the people of America are obliged to choose one of two bad candidates, hoping for the less worse instead of choosing the best, this is not a real democracy where the elite decided for the people and they just have to add their final touch ! If only there were such a person as presidential candidate Donald Trump. One of the grave dangers of his candidacy is that he has no core beliefs and backs off of every position he’s promoted. He is now walking away from the cornerstone of his campaign – anti-Hispanic hysteria. He will embrace Muslims tomorrow if his advisors tell him it’s good for his campaign. He’s just a vessel, both for his supporters and for his advisors. A Trump presidency wouldn’t be driven by the man himself, but by the people closely influencing him. His new campaign lead is Steve Bannon, the head of the propaganda rag Breitbart.com: http://www.nytimes.com/2016/08/18/us/politics/stephen-bannon.html Think of people like this running the presidency. Give the people who spread anti-Muslim rhetoric what they want, because if they don’t get it, their racists will get even angrier? This is some Stockholm Syndrome level logic. One candidate is promising equal rights and protection under the law. The other has mulled over the idea of special IDs, deportations, and restricted freedom of movement for Muslims. how dare you speak on that date?….bi-opsy…..! WE want it back…NOW! before 100 days or not…or even if we have to wait for the next 100 years…..satan’s time is up…not u mr. quack quack…I direct my little speech at that prat…..satan just like stan…I am your fan…..NOT! Excellent article; I apple to USA Muslim they should not consider to vote third party, all Muslims should vote to one party and be counted for there unanimity; it is time to create united front as we have done in Canada though it took time to come together may be not 100% at this stage; with thanks to our first generations; we shall see same in USA. I feel it important to come back to this piece now 2 years later and remind folks of just how insane this idea was.